The Blue Hope Cottage is a double-storey house with a front porch and a side verandah. 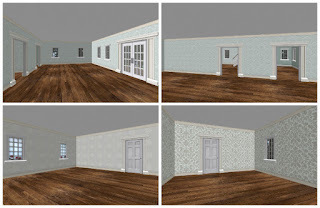 It has an entrance foyer and a separate living and dining area and a kitchen with a back door. 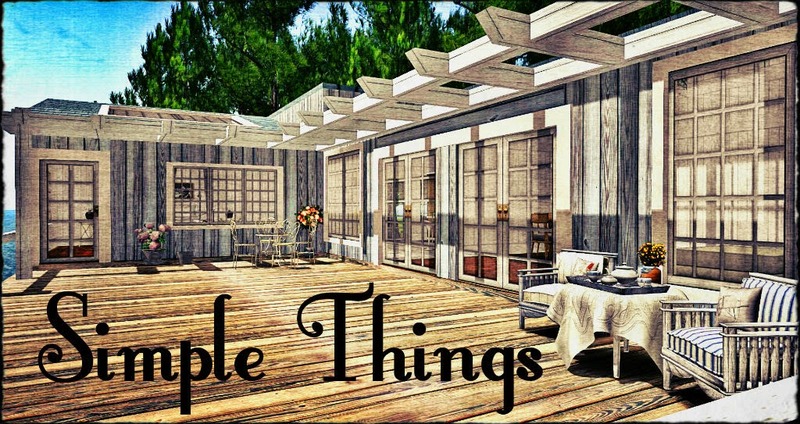 Upstairs, it has 2 room, an open landing area and a balcony above the front porch. The front Porch and Side Verandah. The entrance and the upper floor. The Living and Dining area and the two rooms upstairs. 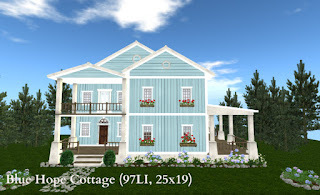 While the Blue Hope Cottage with Landscaping is 232LI and 27x27base. 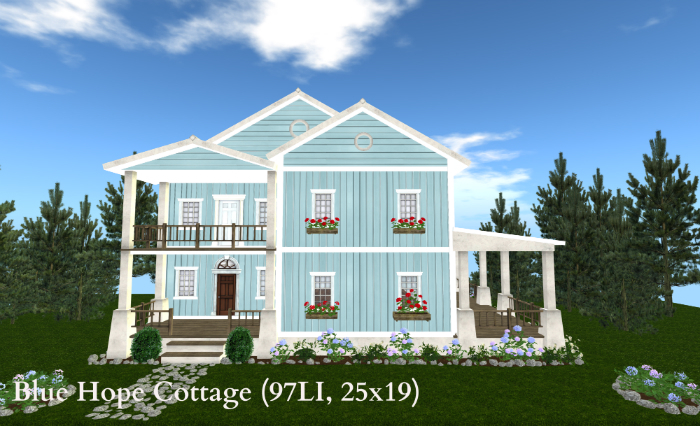 The Blue Hope Cottage is available for 225L at my in-world store and the Marketplace. 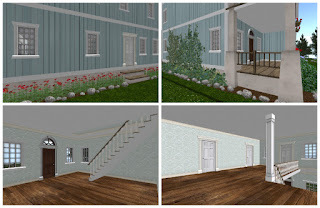 Please see the demo at my in-world store.